Mochos traditional village. 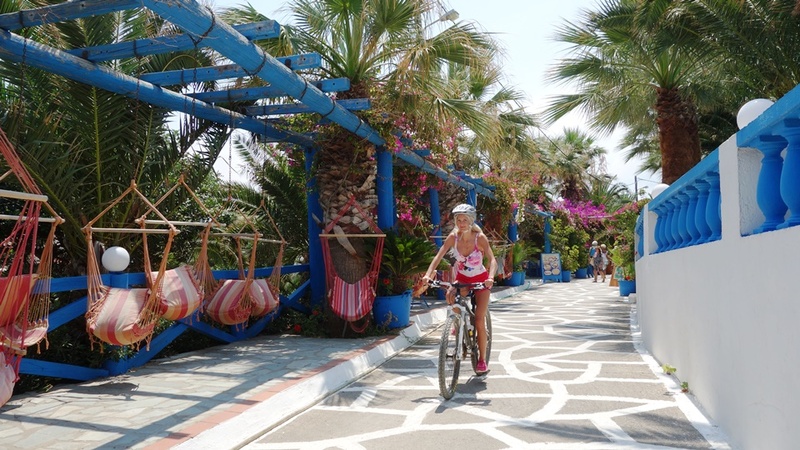 The most beautiful village at the area of Chersonissos with the biggest cafe piazza in Crete. Drink a coffee at one of the nice cafes around the square, and visit the museum of the village. Aposelemis artificial lake and Sfentili sinking village. The biggest artificial lake and the new Atlantis of Crete. The lake is for drinking water that comes from the Dikti mountains. Aposelemis canyon. 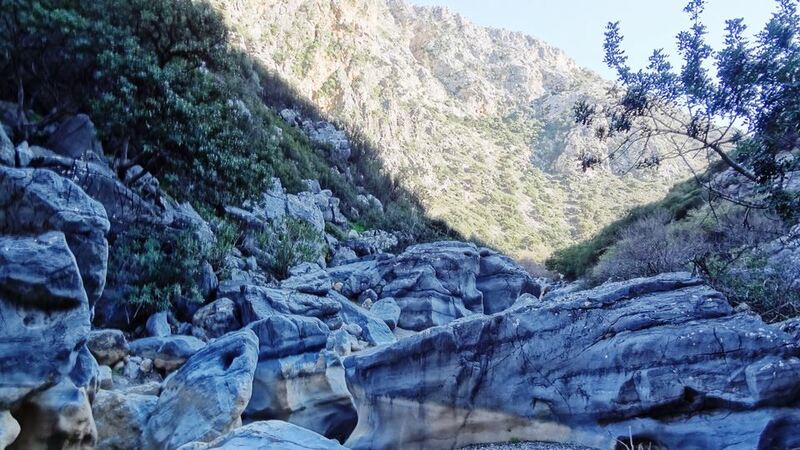 The biggest canyon of the north side of Heraklion county. 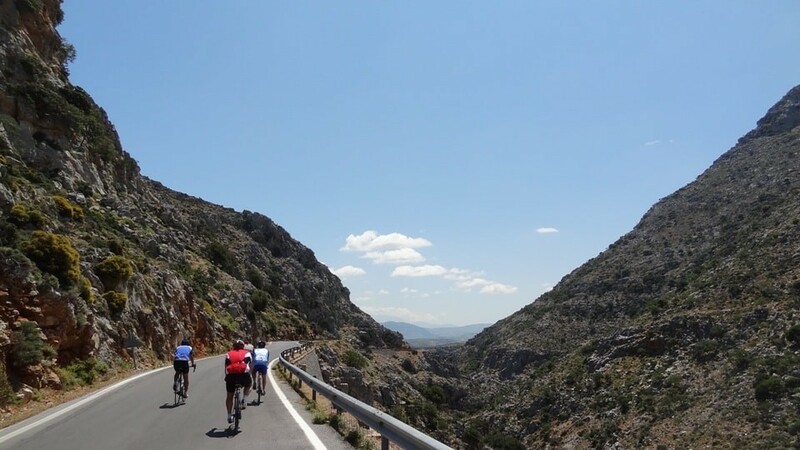 This impressive canyon is just 5 km from cyclincreta bike center. There are no difficult sections and you do not need special equipment to pass it, a pair of snickers or trekking shoes are more than enough. 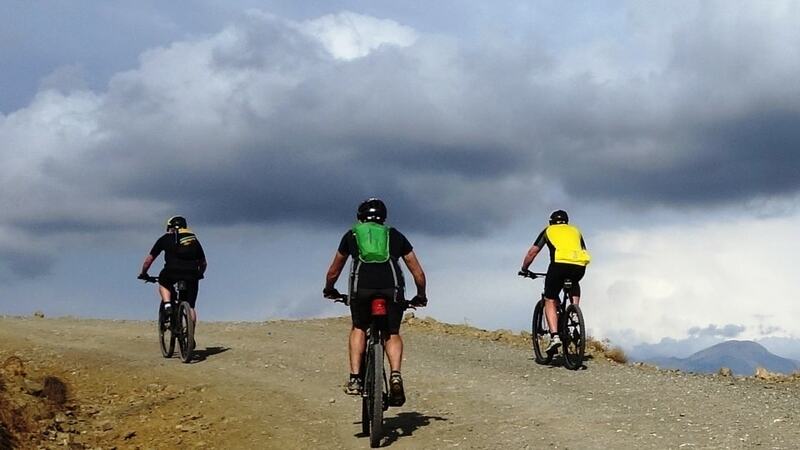 Hire a bike from cyclingcreta bike center and get a lock for free. After a 15minutes of easy riding you reach the entrance of the canyon. Lock the bike and walk for 30 to 90 minutes at the the riverbed that has no water. The canyon is very quiet and if you are lucky you will see the vultures that make their nests on the cliffs. 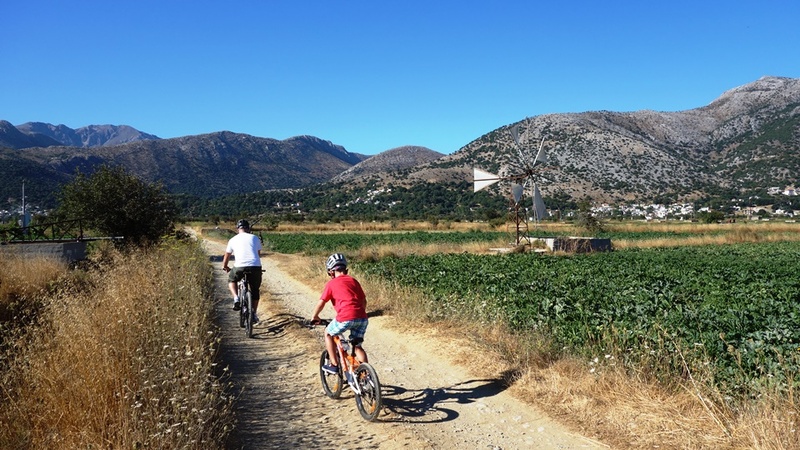 Lasithi plateau. 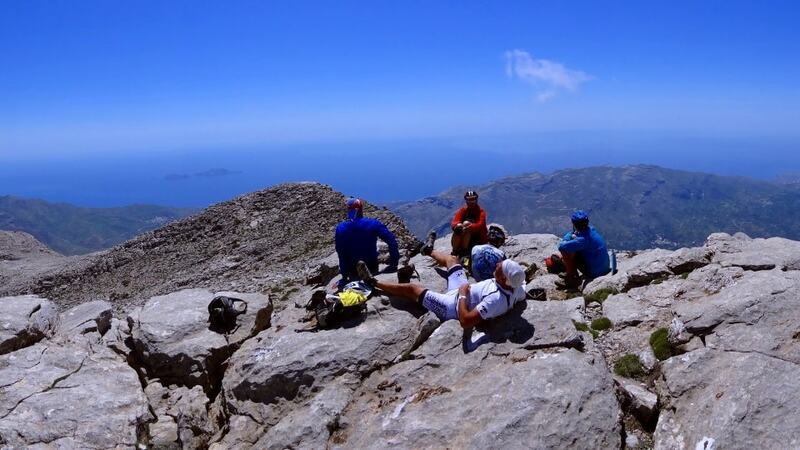 The biggest flat area of Crete and the highest place that people leave all year round. This is the place that Rea the mother of Zeus, the king of the Gods, choose to hide him when Cronos, his father eat all her children. Malia palace. One of the four palaces of the Minoan ages. Here was found the famous jewel with the bees. 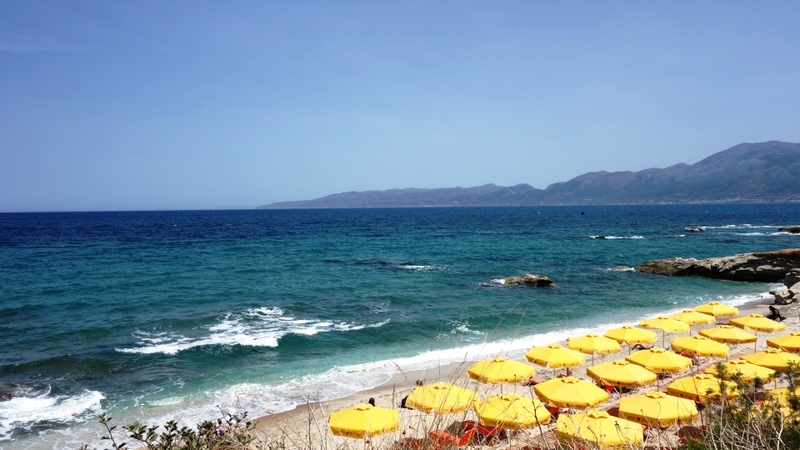 It is located next to Potamos beach, maybe the best big sandy beach of Hersonissos and Malia area. Sisi village. 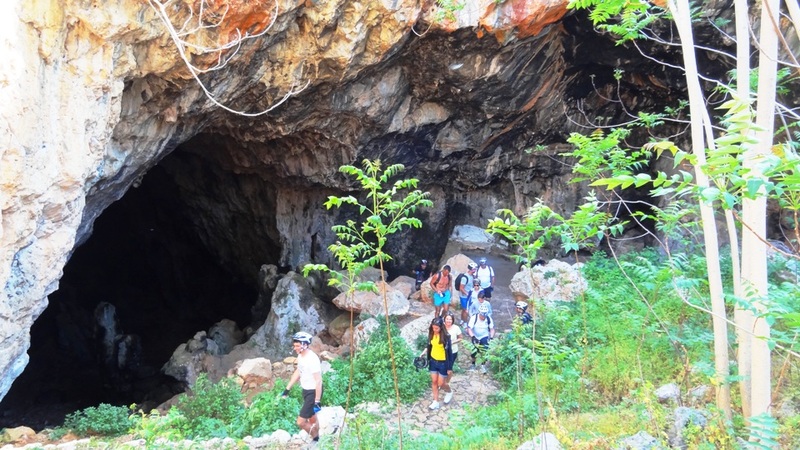 In the past it was a small shelter for the fishermen of Vrachasi village. Now it's a beautiful small village next to the sea with lot of hotels and rent rooms. 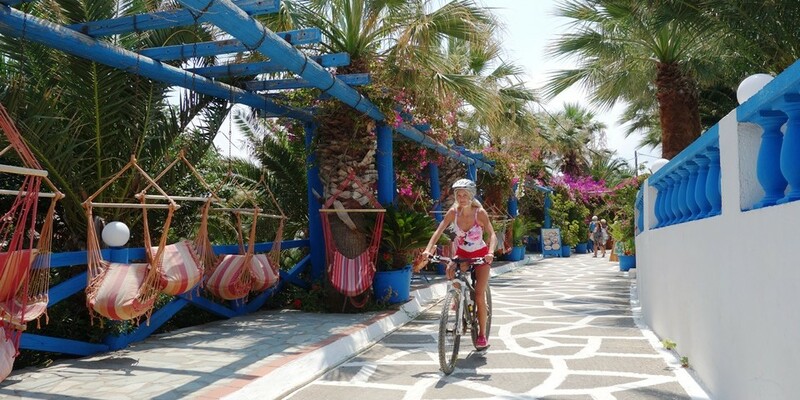 Although there are no sandy beaches to swim, Sisi is ideal for a coffee at the small harbor next to the see. Krasi village and the oldest plane tree of the world. 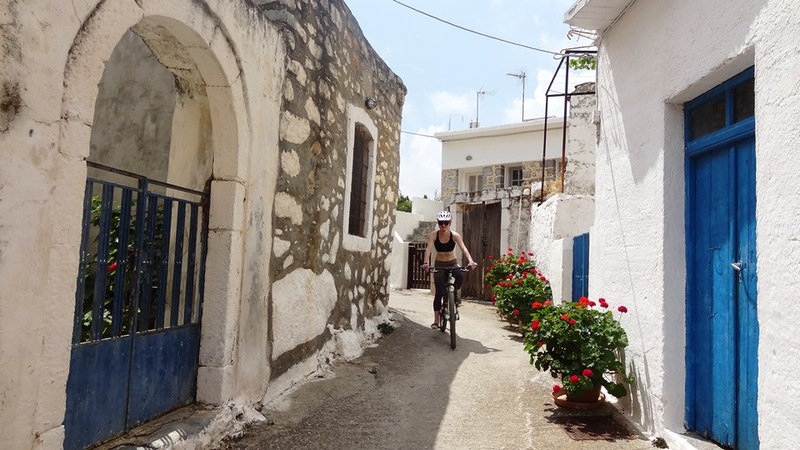 The village on the way to Lasithi plateau with the oldest plane tree of the world (the biggest tree of Crete). 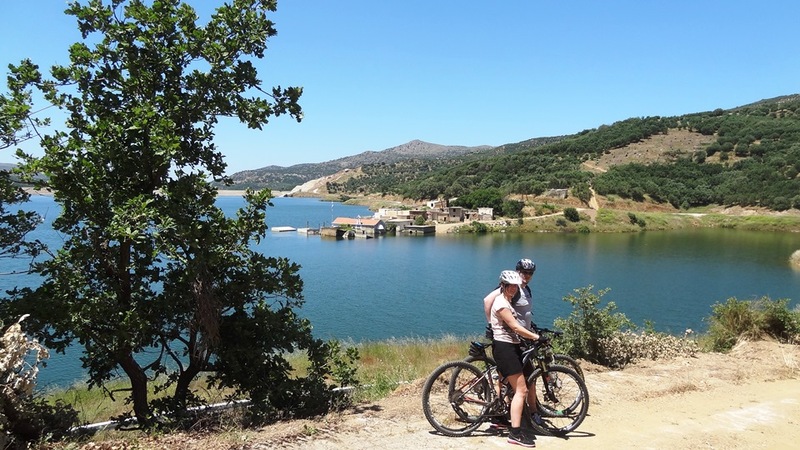 If you want to visit Lasithi Plateau with your bike, this is a nice place for a refreshment or to refill your bottle with cool fresh water from the fountain next to the tree. 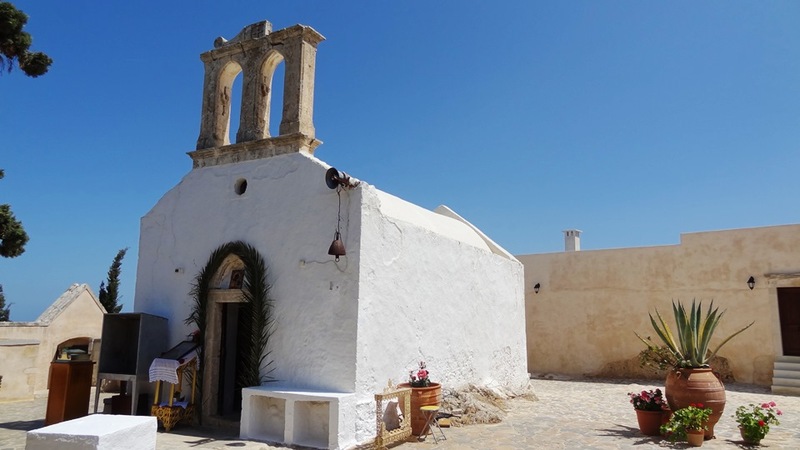 Traditional villages of Hersonissos, Piskopiano and Koutouloufari. The old villages of the area where the locals used to live before the tourism era. The square of Ano Hersonissos is one of the most beautiful in Crete with lots of taverns and cafes. 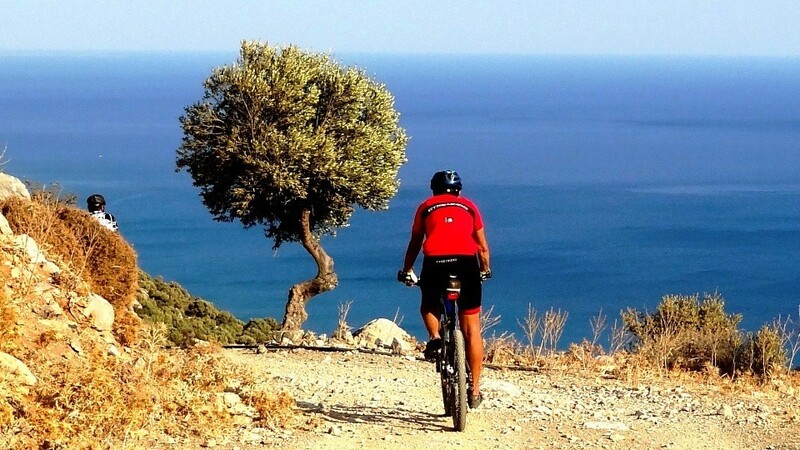 Starting from cyclingcreta bike center you can do an easy round tour of 19 km distance and 200meters elevation to visit all the village and the port of Hersonisos. Limanakia. 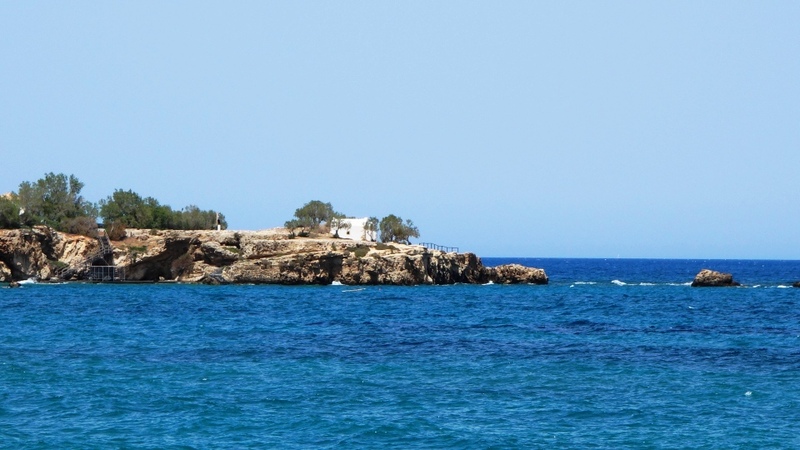 The small beautiful bays with turquoise water and sandy beach on the way to Chersonisos. Get your snorkeling equipment and explore the underwater world. This is the best place to swim the days that wind comes from north. Agios Georgios Church The small white church on a peninsula near Limanakia bays with amazing view to Hersonissos. Eleousa Monastery. A small and picturesque monastery near Voritsi village. It belongs to the Monastery of Agarathos, the number 1 monastery at the ranking of Monasteries in Crete. The most important celebration of this monastery is the Friday after Easter. The local ladies decorate the church with flowers and after the congregation they organize a small fiesta. 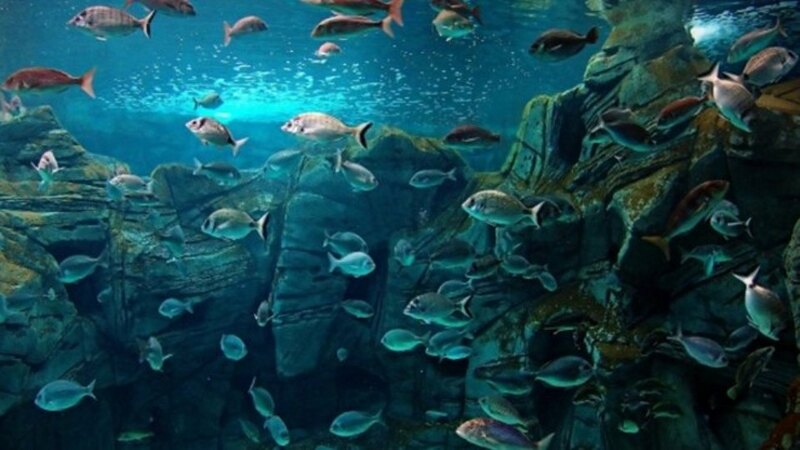 Cretaquarium 60 tanks with 2000 sea animals, 200 different species that live in Medeteranean basin. 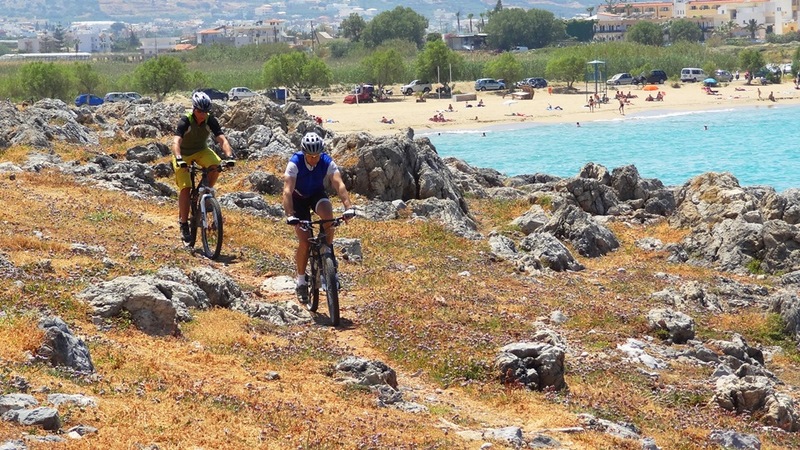 Just 15 minutes from cyclingcreta bike center by bike.